Match ends, Chievo 2, Udinese 3. Second Half ends, Chievo 2, Udinese 3. Attempt saved. Antonio Di Natale (Udinese) left footed shot from the centre of the box is saved in the bottom right corner. Assisted by Bruno Fernandes. Ali Adnan (Udinese) hits the bar with a left footed shot from the left side of the box. Assisted by Francesco Lodi. Attempt blocked. Bruno Fernandes (Udinese) right footed shot from the centre of the box is blocked. Assisted by Cyril Théréau. Sergio Pellissier (Chievo) wins a free kick in the defensive half. Silvan Widmer (Udinese) wins a free kick on the right wing. Foul by Silvan Widmer (Udinese). Orestis Karnezis (Udinese) wins a free kick in the defensive half. Foul by Simone Pepe (Chievo). Roberto Inglese (Chievo) wins a free kick in the attacking half. Attempt missed. 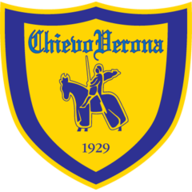 Sergio Pellissier (Chievo) header from the centre of the box misses to the right. Assisted by Perparim Hetemaj with a cross. Delay in match Iván Piris (Udinese) because of an injury. Hand ball by Massimo Gobbi (Chievo). Goal! Chievo 2, Udinese 3. Cyril Théréau (Udinese) right footed shot from the left side of the six yard box to the centre of the goal. Assisted by Antonio Di Natale with a through ball. Attempt missed. Simone Pepe (Chievo) right footed shot from the centre of the box misses to the left. Assisted by Perparim Hetemaj with a cross. Substitution, Udinese. Ali Adnan replaces Edenilson. Attempt missed. Emmanuel Badu (Udinese) right footed shot from outside the box is high and wide to the right. Assisted by Francesco Lodi. Attempt missed. Bostjan Cesar (Chievo) right footed shot from the right side of the box is too high following a set piece situation. Sergio Pellissier (Chievo) wins a free kick in the attacking half. Foul by Massimo Gobbi (Chievo). Substitution, Udinese. Antonio Di Natale replaces Rodrigo Aguirre. Goal! Chievo 2, Udinese 2. Roberto Inglese (Chievo) right footed shot from outside the box to the top right corner. Assisted by Nicola Rigoni. Substitution, Chievo. Simone Pepe replaces Valter Birsa. Silvan Widmer (Udinese) wins a free kick in the defensive half. Attempt missed. Emmanuel Badu (Udinese) right footed shot from outside the box misses to the left following a corner. Corner, Udinese. Conceded by Nicolas Frey. Attempt blocked. Cyril Théréau (Udinese) left footed shot from the left side of the box is blocked. Assisted by Edenilson. Rodrigo Aguirre (Udinese) wins a free kick in the attacking half. Substitution, Chievo. Sergio Pellissier replaces Alberto Paloschi. Roberto Inglese (Chievo) wins a free kick in the defensive half. Offside, Udinese. Francesco Lodi tries a through ball, but Edenilson is caught offside. Substitution, Udinese. Bruno Fernandes replaces Manuel Iturra. Corner, Udinese. Conceded by Massimo Gobbi. Substitution, Chievo. Roberto Inglese replaces Riccardo Meggiorini. Corner, Chievo. Conceded by Danilo. Alberto Paloschi (Chievo) wins a free kick on the right wing. Attempt blocked. Cyril Théréau (Udinese) right footed shot from the right side of the box is blocked. Assisted by Rodrigo Aguirre. Foul by Emmanuel Badu (Udinese). Bostjan Cesar (Chievo) is shown the yellow card. Danilo (Udinese) is shown the yellow card for a bad foul. Alberto Paloschi (Chievo) wins a free kick on the left wing. Valter Birsa (Chievo) wins a free kick in the defensive half. Lucas Castro (Chievo) wins a free kick in the attacking half. Goal! Chievo 1, Udinese 2. Cyril Théréau (Udinese) right footed shot from the left side of the six yard box to the centre of the goal. Assisted by Manuel Iturra. Attempt missed. Manuel Iturra (Udinese) right footed shot from the centre of the box misses to the left. Assisted by Rodrigo Aguirre. Second Half begins Chievo 1, Udinese 1. 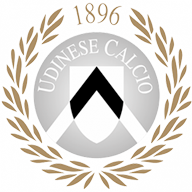 First Half ends, Chievo 1, Udinese 1. Attempt missed. Silvan Widmer (Udinese) right footed shot from the right side of the box misses to the left. Corner, Udinese. Conceded by Perparim Hetemaj. Lucas Castro (Chievo) is shown the yellow card for a bad foul. Foul by Lucas Castro (Chievo). Own Goal by Nicolas Frey, Chievo. Chievo 1, Udinese 1. Attempt saved. Alberto Paloschi (Chievo) header from the centre of the box is saved in the bottom left corner. Assisted by Valter Birsa with a cross. Cyril Théréau (Udinese) wins a free kick in the defensive half. Delay in match Valter Birsa (Chievo) because of an injury. Attempt saved. Francesco Lodi (Udinese) left footed shot from outside the box is saved in the centre of the goal. Nicolas Frey (Chievo) is shown the yellow card for a bad foul. Foul by Nicolas Frey (Chievo). Offside, Udinese. Silvan Widmer tries a through ball, but Rodrigo Aguirre is caught offside. Corner, Udinese. Conceded by Alessandro Gamberini. Riccardo Meggiorini (Chievo) is shown the yellow card for a bad foul. Edenilson (Udinese) wins a free kick in the defensive half. Attempt saved. Emmanuel Badu (Udinese) header from the centre of the box is saved in the bottom right corner. Assisted by Silvan Widmer with a cross. Goal! Chievo 1, Udinese 0. Alberto Paloschi (Chievo) right footed shot from very close range to the bottom left corner. Attempt saved. Valter Birsa (Chievo) header from the right side of the six yard box is saved in the top centre of the goal. Attempt blocked. Valter Birsa (Chievo) right footed shot from the centre of the box is blocked. Assisted by Riccardo Meggiorini. Francesco Lodi (Udinese) wins a free kick in the defensive half. Alessandro Gamberini (Chievo) hits the right post with a header from the centre of the box. Assisted by Valter Birsa with a cross following a corner. Corner, Chievo. Conceded by Orestis Karnezis. Attempt saved. Valter Birsa (Chievo) left footed shot from outside the box is saved in the top left corner. Manuel Iturra (Udinese) is shown the yellow card for a bad foul. Foul by Manuel Iturra (Udinese). Alberto Paloschi (Chievo) wins a free kick in the attacking half. Felipe (Udinese) wins a free kick in the defensive half. Attempt blocked. Valter Birsa (Chievo) left footed shot from outside the box is blocked. Alberto Paloschi (Chievo) wins a free kick in the defensive half. Foul by Alberto Paloschi (Chievo). Offside, Udinese. Manuel Iturra tries a through ball, but Cyril Théréau is caught offside. Attempt saved. Lucas Castro (Chievo) right footed shot from outside the box is saved in the bottom right corner. Offside, Chievo. Valter Birsa tries a through ball, but Riccardo Meggiorini is caught offside. Dangerous play by Cyril Théréau (Udinese). Perparim Hetemaj (Chievo) wins a free kick in the attacking half. Attempt missed. Rodrigo Aguirre (Udinese) header from the centre of the box is high and wide to the left. Assisted by Edenilson with a cross. Bostjan Cesar (Chievo) wins a free kick in the defensive half. Offside, Udinese. Francesco Lodi tries a through ball, but Cyril Théréau is caught offside. Rodrigo Aguirre (Udinese) wins a free kick in the defensive half. Delay in match Cyril Théréau (Udinese) because of an injury.